Is your kid doomed if you discover he's diabetic? 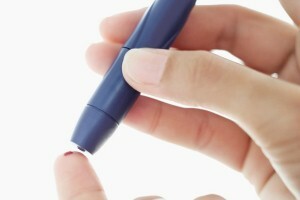 Home » Dad » Is your kid doomed if you discover he’s diabetic? Is your kid doomed if you discover he’s diabetic? There's no denying that diabetes has become a major health issue in modern America. Common in both children and adults, diabetes is a disease that compromises the body's ability to process or create insulin properly. According to the American Diabetes Association, 1 in every 400 children under 20 years old is diagnosed with diabetes. As a dad, coming to terms with your child's condition can be difficult and confusing, but it's also important to remember that diabetes is a very manageable illness. In the meantime, you may want to better acquaint yourself with the disease. There are two main kinds of diabetes – Type 1 and Type 2. Type 1 diabetes, formerly known as juvenile diabetes, impedes insulin production in the pancreas. Type 2 diabetes, once known as adult-onset diabetes, can occur at any age and reduces the cell's intake of insulin. Both of these require regular treatment and attention, including diabetes medicine or insulin injections, aspirin for blood and cholesterol management, strict dietary guidelines and exercise. Failure to do so can lead to further health complications like heart disease, stroke or blindness. The first steps in helping your child control his diabetes is to make several lifestyle adjustments to your family and learn everything you can about the disease. Be there with your child when he takes his prescribed medicines and check blood sugar levels. It's important to feel equally proficient at administering treatment procedures as your child. You will also want to create a diet plan of healthy meals and may want to consider asking the entire family to adjust their eating habits as well to make the treatment process easier on your child. Regular exercise is another essential part of diabetes control, so encourage active participation in school and community athletic programs. You may want to ramp up your own physical activity as well to help your son or daughter stick with it. With time, these practices will become a normal and manageable part of your family's routine.